The California Democrat is seeking to unify the party in her bid to become House speaker once more. WASHINGTON — As Congress heads back from their Thanksgiving break, all eyes will be on House Minority Leader Nancy Pelosi as she faces a critical week in her bid to become House speaker once again. While much of the opposition to her candidacy has begun to fray, she still faces challenges. 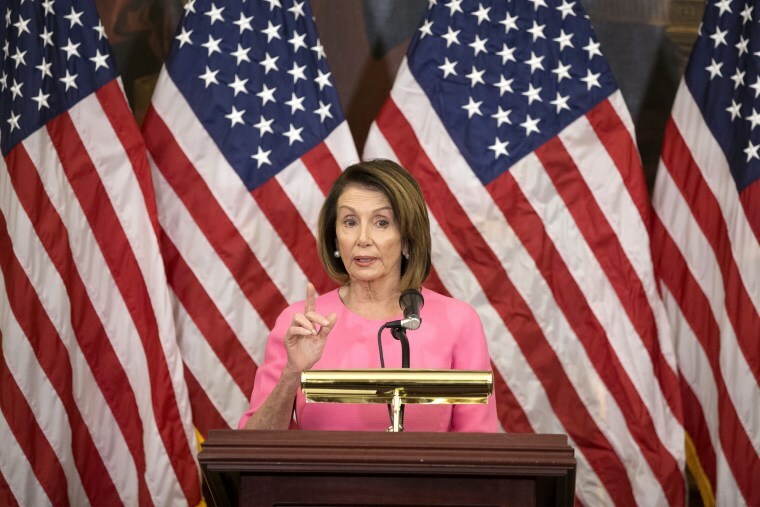 House Democrats will gather behind closed doors on Wednesday and Thursday to vote for their candidate to be the next speaker come January — just the first step in the two-step process required before Pelosi, or anyone, can obtain the gavel. Pelosi’s opposition is coming from the more conservative faction of the caucus rather than progressives who have gotten behind her, especially as she has endorsed changes to how the House functions. Because only two dozen members have publicly come out against her — 15 who have signed a letter of opposition and another nine who announced their opposition on Friday — she’s sure to easily win the support of a majority of her caucus in the closed door session. But the final tally of that vote will be indicative of how much more work she has to do to before the entire House votes for speaker in January, a vote in which she must win a majority of the entire House — not just of the majority of Democrats. With Democrats holding 233 seats, the margin to win at least 218 votes is fairly narrow. “Our diversity is our strength and our unity is our power,” she wrote. Her letter came out the day after she persuaded one potential challenger, Rep. Marcia Fudge, D-Ohio, to drop her opposition and to get behind her, leaving no apparent challenger. Also last week, Congresswoman-elect Alexandria Ocasio-Cortez said that she would support Pelosi and urged her colleagues to move beyond the leadership race and start working on issues. Rep. Brian Higgins of New York, who signed a letter just one week ago with 15 other Democrats saying he would vote against her, reversed course several days later and said he would support Pelosi. She’s also won the support of all the major unions and progressive groups, including Alliance for Justice and MoveOn. To win over her caucus, Pelosi was urged by members to change how the House of Representatives has been working in recent years. Members announced their support for Pelosi as she agreed to their requests of ensuring diversity, increasing individual member input, strengthening ethics and oversight as well as the budget process. But a group of nine Democrats, members of the bipartisan “Problem Solvers Caucus” released a letter on Friday saying that they don’t yet support her because she hasn’t agreed to their requested rules changes. They want to make it easier for individual members, including the minority party, to introduce legislation. An aide to Pelosi said those talks are still ongoing.